Provide comfort for the family of Mr. Narciso "Cecil" Mechis with a meaningful gesture of sympathy. Narciso “Cecil” Mechis of Thunder Bay passed away peacefully in his sleep on December 31, 2018 in the Thunder Bay Regional Transitional Care Unit. Cecil was born on August 27, 1929 in Parenzo, Italy to Giuseppe and Santina Mechis. He endured many hardships in his youth including taking shelter in the caves to avoid bombing during the War. The bombings damaged a majority of Parenzo forcing him to escape to the city of Pola, Italy, where he could resume his education. Cecil then returned back to his home in Parenzo where he joined the Italian Navy. At the end of his Naval duty he was forced to flee his home again, leaving everything behind to avoid the communist takeover. His family settled in Rovigo, Italy and shortly after Cecil took the brave step to immigrate to Canada in 1951. Later, bringing his father and mother to Canada. Cecil started his work on the railroad until settling in Thunder Bay where he met the love of his life Dora Louise Rigato. They were married February 12, 1955. Cecil and Dora were best friends and accomplished dancers that loved to polka and waltz the night away. In retirement, they spent their winters in Port Charlotte, Florida where he was able to participate in one of his life passions, Horticulture. Though he came to Canada with nothing, he was able to have a successful career, becoming a business man as the owner of Cec and Sons Gravel. Cecil’s dream of creating a better life for his family was his driving force in life. From his adventure to Canada, the place of opportunity and freedom, to his tireless work ethic providing for his family, he achieved his dream. He is survived by his wife Dora; sons, David, Andrew, Arthur, Daniel and his wife Tammy; granddaughters Victoria and Courtney with whom he loved spending time and was known affectionately as Ampa. Also survived by his sister, Elvira Tomasi; sister in-law, Jean and her husband Stan Oprendek along with many cousins, nieces and nephews. 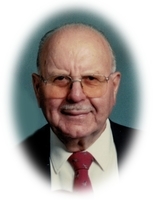 Funeral Services for the late Mr. Cecil Mechis will be held on Tuesday, January 8, 2018 with family and friends gathering in St. Anthony's Roman Catholic Church for the Funeral Mass at 2:00pM with interment to follow in St. Andrew's Roman Catholic Cemetery. Visitation will be held on Monday evening from 6:00pm until 8:00pm in the EVEREST FUNERAL CHAPEL, 299 Waverley Street at Algoma with the Vigil Prayers offered at 7:00pm in the chapel. If friends so desire, donations may be made to the Salvation Army. To plant a memorial tree in honor of Mr. Narciso "Cecil" Mechis, please visit our Heartfelt Sympathies Store. Vigil Prayers will be offered at 7:00 pm in the Chapel. Donations are being accepted for: THE SALVATION ARMY THUNDER BAY COMMUNITY AND RESIDENTIAL SERVICES. We encourage you to share your most beloved memories of Mr. Narciso "Cecil" here, so that the family and other loved ones can always see it. You can upload cherished photographs, or share your favorite stories, and can even comment on those shared by others. Plant a Tree in Memory of Mr. Narciso "Cecil"
I would like to send my condolences to the Mechis family, from your former neighbour on Oliver Road, Debbie Ryan. My parents were Mike and Clare.